Dubai: The chief executive of TAAG Angola Airlines (Linhas Aéreas De Angola) is on the way out but the bulk of the national carriers employees are safe, Emirates President Tim Clark said on Wednesday. On Tuesday, Emirates announced it has signed a ten-year management concession agreement with the Republic of Angola, for managing TAAG Angola Airlines. The deal was engineered by the Angolan government with Shaikh Ahmad Bin Saeed Al Maktoum, President of Dubai Civil Aviation and Chairman and CEO of Emirates airline and Group. Four senior managers appointed by Emirates will join the airline under the deal. Clark, speaking to reporters at the Africa Global Business Forum in Dubai, confirmed that the chief executive will be changed. “I have a few people in mind to run the business,” Clark said. But Emirates will not be looking internally to fulfil the position. Instead the Middle East’s largest airline will most likely look “elsewhere,” Clark said. Under the deal, Emirates will be responsible for drawing up a business plan that will cover the airline’s network, livery, and structure but “using the employees of TAAG today,” Clark said. The deal, which is reminiscent of a management contract Emirates once held with Sri Lankan Airlines, has caught many analysts by surprise. But unlike the Sri Lankan Airlines deal, Emirates will not hold an equity stake in TAAG. Emirates sold its near 44 per cent stake in Sri Lankan Airlines in 2010. “The African market is one in which Emirates is already strong and which offers future growth potential. The agreement comes as a surprise but the airline will be looking to strengthen business relationships in this important market,” analyst John Strickland, Director of JLS Consulting, said by email. 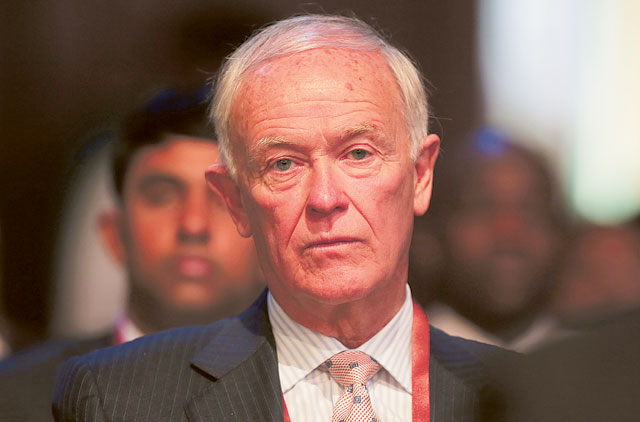 Clark declined to get into the specifics of the commercial arrangement when asked what Emirates’ share of the airline’s revenue will be under the deal. “Obviously we are not doing it for nothing. It’s a satisfactory arrangement for us,” he said. The deal comes the same week as the African Global Business Forum gathers members of the African business community as well as African heads of state in Dubai. The emirate used the forum on Wednesday as a launchpad to make its intentions clear that it is interested in investing in Africa. Clark said the arrangement with TAAG, and the Angolan government, would be “a good thing”. “We think we can enhance the ties between Angola and here. There are lots of opportunities for Dubai entities [in Angola],” he said.